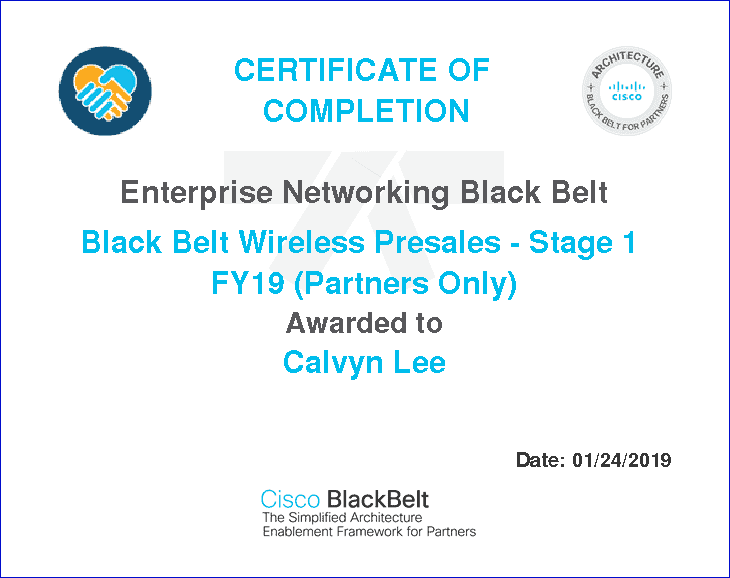 Recap to the Cisco Black Belt 2.0 I mentioned earlier, apart from Meraki Black Belt, I had pursued to another specialization within the enterprise networking pillar, which is the Wireless specialization. You may choose the “Wireless” tab, and drop down stage 1 and stage 2 proceed with the training material and quiz. For Stage 1, there is 2 quiz to complete, Black Belt Program – Wireless Pre-Sales Stage 1 Quiz (25 question) and Black Belt Program – PSOG Pre-Sales – Enterprise Networking Quiz (10 Question), you may refer below for the quiz reference. 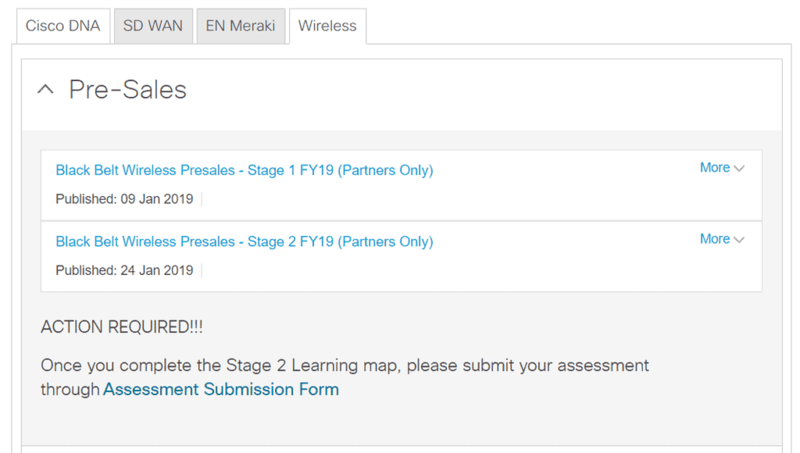 Once you complete Cisco Blackbelt Wireless stage 1 quiz, immediately you can download the certificate, but the quality is not good as the Meraki blackbelt certificate I get earlier.